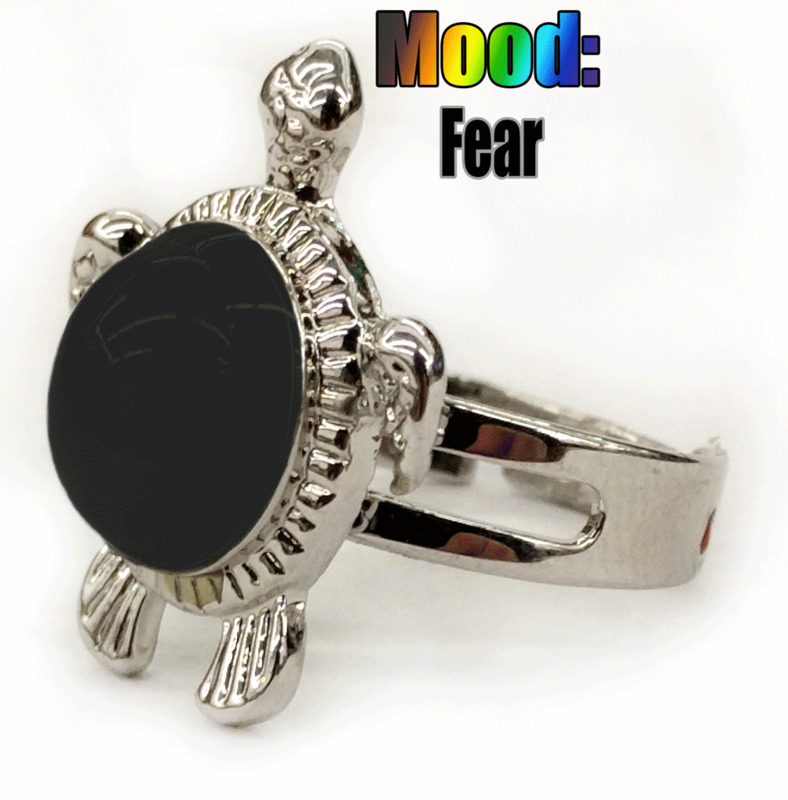 This turtle color changing mood ring is fantastically designed and crafted with the turtle shape. Color of this turtle will change with your mood and the temperature of your finger. A great piece of ornament and a mood indicator as well. Adjustable ring band, this ring fits fot many different sizes. Wearing this turtle color changing ring can bring you lots of charm and elegance, also a perfect gift to others!